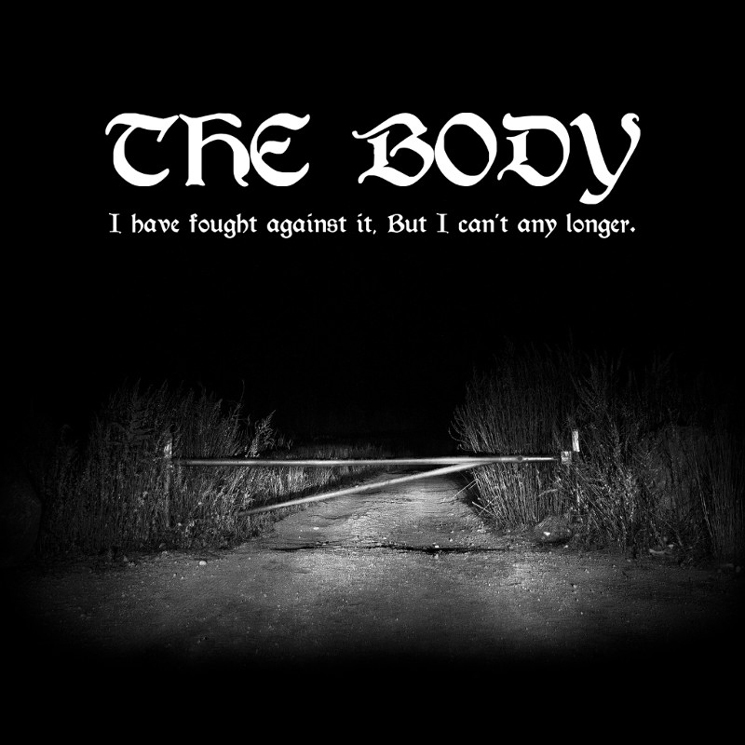 The Body Return with New Album, Premiere "Nothing Stirs"
Two years on from delivering their No One Deserves Happiness LP, the Body have lifted the curtain on a follow-up effort. Titled I Have Fought Against It, But I Can't Any Longer, the experimental sludge duo will deliver the record on May 11 through Thrill Jockey. Ten tracks in length, the effort is described as the group's most ambitious work to date, choosing to build the songs around their own samples rather than recording and processing tracks of drums and guitars. Ahead of time, the duo of Lee Buford and Chip King have shared "Nothing Stirs" as a taste of what's to come. You can hear it in the player below. I Have Fought Against It features performances from Kristin Hayter (Lingua Ignota) and Michael Berdan (Uniform), in addition to regular Body collaborators Chrissy Wolpert (Assembly of Light Choir) and Ben Eberle (Sandworm). Find a complete tracklisting for I Have Fought Against It, But I Can't Any Longer below, and pre-order the record here.